B. Elaine Smith, 98, departed her earthly life on Sunday, August 19, 2018, at St. Elizabeth Healthcare in Delphi. She stands joyfully in the presence of her heavenly Father whom she has now seen face to face. Elaine was born on August 8, 1920, to Evadue Houser Roll and Ralph Roll. She spent her first seven years in Camden, and then lived in Flora until 2008. On February 23, 1941, Elaine and Jean Ballard Smith were united in marriage, and he preceded her in death on January 25, 2008. She graduated from Flora High School in 1938 and from Indianapolis Commercial School of Art in 1940. She was a Navy wife and single mom during World War II. Elaine loved her family mightily and was a devoted mother, grandmother, and great-grandmother. 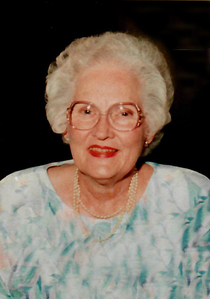 Elaine held dual membership and was very active in the Flora First Christian Church and the Tropical Sands Christian Church in Palm Gardens, Florida, where she and her husband wintered for 30 years. She was an honorary member of Psi Iota Xi. In 1951, working the president, Georgiana Julius, Elaine was instrumental in starting the Psi Ote cookie stand at the Carroll County 4-H Fair. She provided the original recipe that is still used today for those famous cookies. She was a retired member of Eastern Star. Elaine was a member of Indiana Flying Farmers along with her husband and served as their queen in 1975. She received her pilot’s license at the age of 50 and flew many places with her husband who also had a love of flying. One of Elaine’s hobbies was sewing which she learned from her mother at the age of six. She sewed for her family and others, making wedding dresses, men’s suits, prom dresses, baby clothes, etc. She took a course in tailoring and occasionally made her own patterns. Hew sewing talent was used to minister to others. Elaine worked with the Carroll County Ministerial Association to establish a migrant ministry. She and a few other women would transport portable sewing machines, fabric, patterns, etc. to migrant camps near Cutler and teach the women to sew for their families. Elaine enjoyed cooking and was quick to share that talent with others. Countless times she would show up on the doorstep of a family in need with a meal for them. She was famous for her soups! She also enjoyed gardening. Elaine designed the home on Park Row she shared with her husband and girls. Built in 1949, it remains in the family. Elaine is survived by two daughters, Janalie Robeson of Carmel, and Arlene (Larry) Pifer of Flora; five grandchildren, Miriam (David) Pickens, Michele (David) Howard, Christian (Teresa) Craig, Jana Craig (Jake Wilcox), and Joshua (Denis) Craig; nine great-grandchildren, Samantha, Benjamin, and Caitlin Pickens, Alyson Banks and Naomi Mendoza, Rachael and Gabriel Craig, and Jaelyn and Greysyn Craig. She is also survived by nieces and nephews who were very dear to her heart. In addition to her husband, Elaine is preceded in death by her parents, her step-father, William Ball, and her beloved sister, Norma Doran. Visitation will be held on Friday, August 24, 2018, at Flora First Christian Church from 12pm until the start of the funeral service at 2pm. Pastor Kim Holley will officiate. Burial will follow in Maple Lawn Cemetery in Flora. Memorials in Elaine’s honor may be made to Flora First Christian Church, 8 E. South St., Flora, IN, 46929. 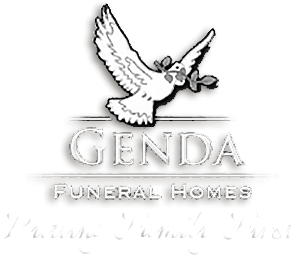 Arrangements are entrusted to Genda Funeral Home Reinke Chapel in Flora, with online condolences directed to www.gendafuneralhome.com.